So, what exactly is a cassoulet you might be thinking? 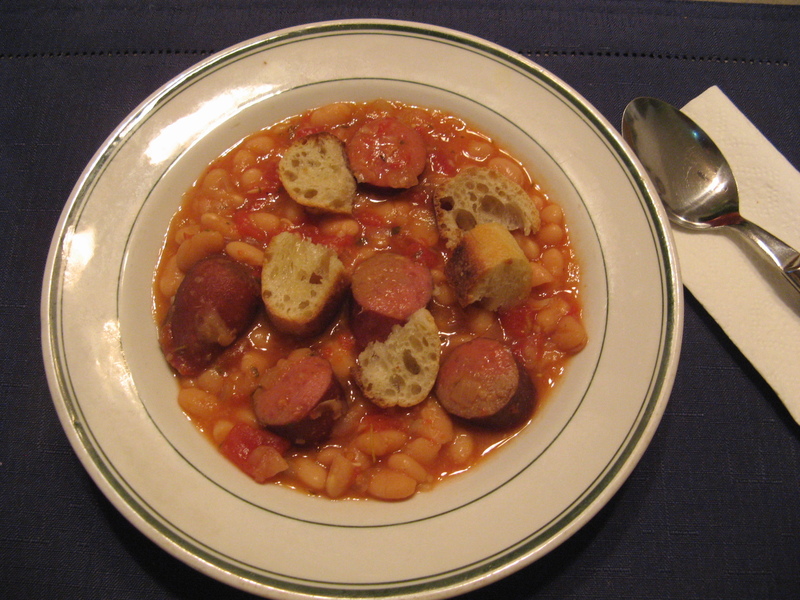 Well, it’s a slow-cooked dish from the south of France that usually contains meat, pork skin and white beans. This cassoulet has 2 out of those 3 things… Pork skin is the only thing missing. But, after checking on it after 7 hours I decided that my cassoulet was done as I didn’t want my beans to turn into mush. And then topped my cassoulet with. 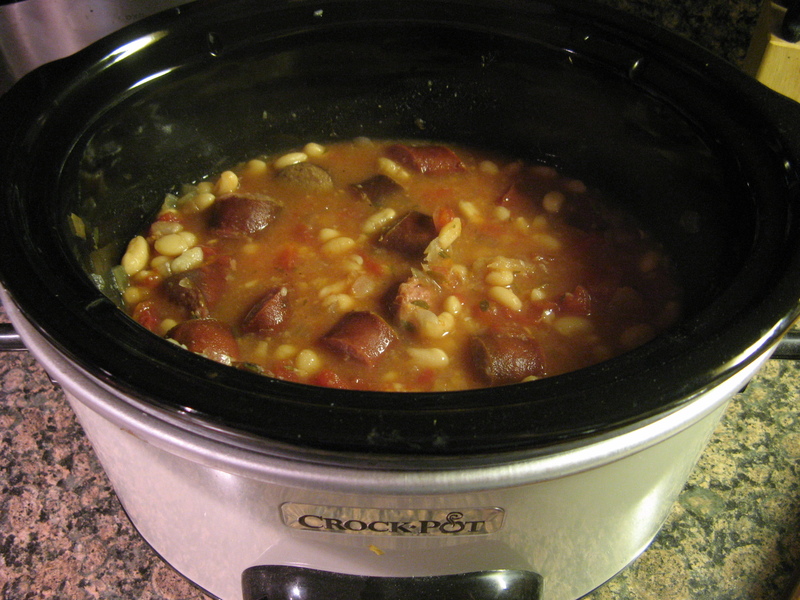 Yum… This is the perfect dish for these cold winter days. 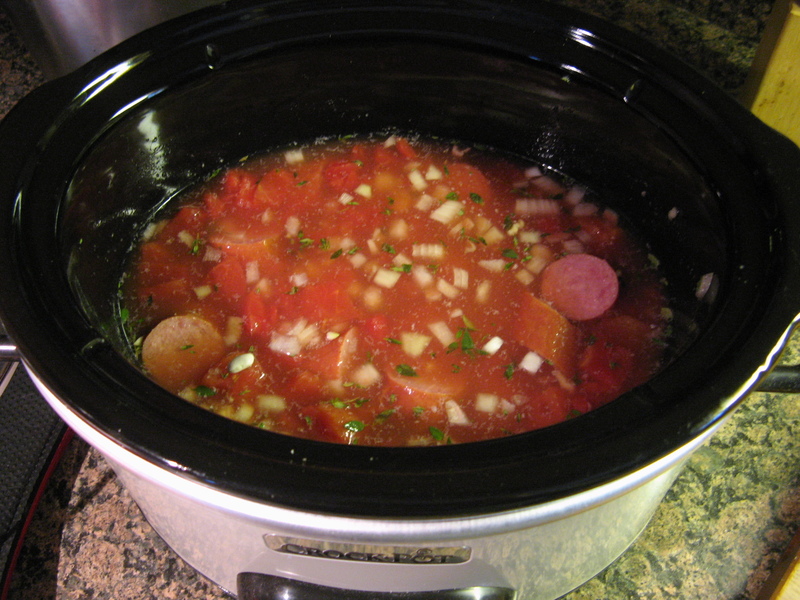 Combine the beans, kielbasa, broth, tomatoes, onion, garlic, thyme and 1/2 teaspoon salt in a 4 -to- 6 quart slow cooker. Cover and cook on low for 7 to 8 hours, until the beans are tender and creamy (check the beans after 7 hours) or on high for 5 hours. Season with salt and pepper. 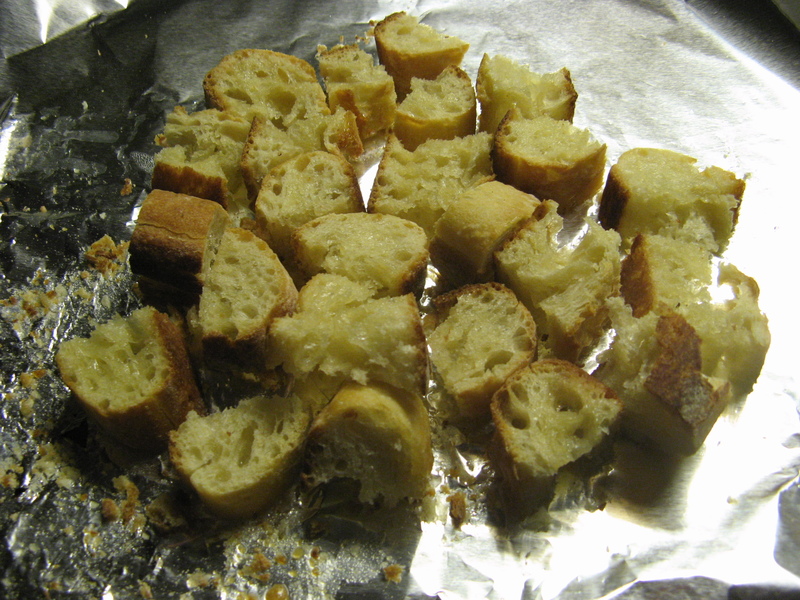 Serve topped with the baguette cubes.